My Name is Denise Ridgeon and I am the president of Central Florida Weimaraner Rescue DBA Lifeline. I am asking our supporters and animal advocates to assist us with vetting and treatment for Sienna and her 11 week old pup Poppy. Mommy Sienna is a 2 year old Weimaraner mix both Sienna and her puppy were recently dumped in a landfill in South Florida. Both were taken to the local shelter by Animal Control. A officer reached out to us last week he said we were Siennas last Hope Sienna had been rejected by everyone he had called and she would be euthanized as the shelter do not treat Heart worms.It was at that point we learnt that Sienna was found with an 11 week old puppy. We agreed to take Sienna into our program and we would also take her baby. We would never leave a momma or pup behind. Sienna is emaciated, She is heart worm positive and has a urinary tract infection. She also needs to be spayed but at this point we are unable to do so until her condition improves and her heart worms are treated, Poppy her puppy is just adorable we were in love the minute we saw this little girl sitting so vunerable in her cage. Poppy had the most enormous tummy and she waddled around trying to play once she was out of her cage we first thought that she was full of worms. On Saturday morning we rushed Poppy to the vet she had done a huge pee pee one you would expect a much larger dog to do. After her Pee Pee her tummy went down to the normal size you would expect. Within the hour her tummy filled back up again. Poppy had X Rays, Radiographs her rear and front Lymphnodes were enlarged she underwent several tests. Our vet decided to Quarantine her one of our fears was Lepto from the landfil. Poppy was allowed home on Tuesday she is currently on 4 medications and special food she has some serious infections which are being controlled by her medications. Poppys charges for all her tests was 875.00. Poppy goes back to the vet on Monday where she will have more tests. Her white and red cells are Low and High. This is such a lot for an 11 week old girl to go through Our mission is to get Sienna and baby Poppy back to good health and into loving homes so they will never again have to suffer the hardship of the past.Sienna has not had a good life prior to her coming into rescue you can tell times have been hard for her, She is also very skittish and timid. We will work on these aspects in the next few months Both girls are settling in nicely in their foster home. We anticipate that Sienna will be with us in rescue for the next 6-9 months going through her treament. Sienna and Poppy need their treatment which is estimated at $2200.00. We are asking for assistance for Sienna and Poppy So they can have a second chance at a good life they deserve this chance to be healtjy and loved. 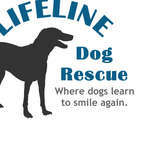 CFWR DBA Lifeline Dog Rescue is a 501c3 org and all donations are tax deductible Please consider helping our 2 precious pups with their treatment, Lifeline appreciates any help given and I know our 2 pups would join us in saying. Thank you If you are unable to donate please share their Fundrazr CFWR would also like to thank our supporters that have already donated to us through our website we appreciate you all.